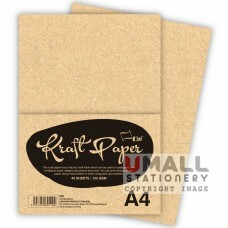 ALUMINIUM FOIL PAPER Size: 17.5X30 Packing: 200's ..
COLOR FLINT PAPER Size: 18X25 Sheets: 200'S ..
FLUORESCENT PAPER Size: 20X29.75 Sheets: 200'S ..
FLINT PAPER 60gm Size: A4 Sheets: 10'S Packing: 20 pcs/pack ..
FLINT PAPER 70gm Size: 5"x5" Sheets: 40'S Packing: 20 pcs/pack ..
FLINT PAPER 70gm Size: 7.5"x7.5" Sheets: 40'S Packing: 20 pcs/pack ..
GLASS PAPER COLOUR Sheets: 2'S Packing: 10 pcs/pack ..
GLASS PAPER WHITE Sheets: 2'S Packing: 10 pcs/pack .. 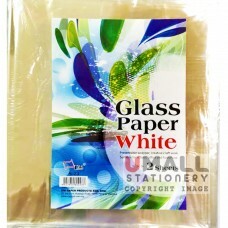 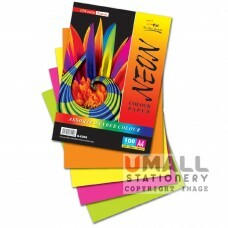 NEON PAPER 80gm Size: A4 Sheets: 40'S Packing: 10 pcs/pack .. 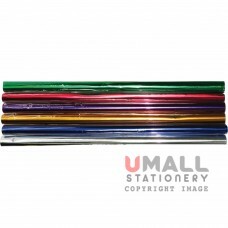 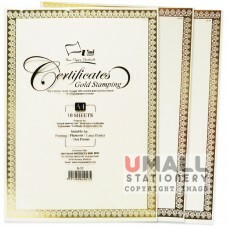 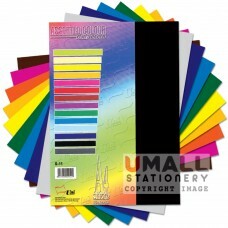 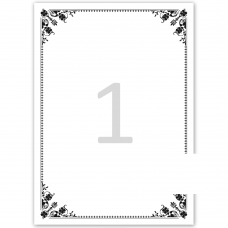 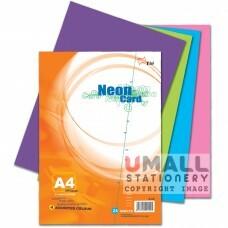 NEON CARD 180gm Size: A4 Sheets: 24'S Packing: 10 pcs/pack .. 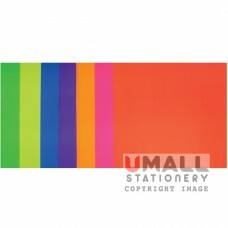 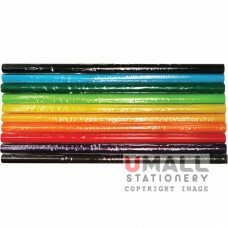 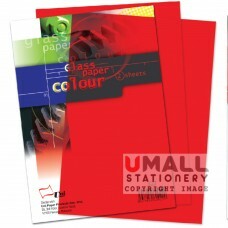 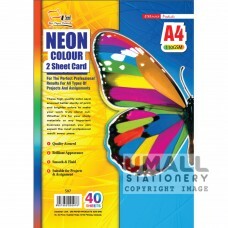 NEON COLOUR TWO SHEET CARD 110gm Size: A4 Sheets: 40'S Packing: 10 pcs/pack .. 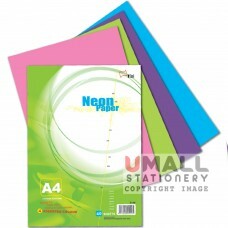 NEON COLOUR PAPER 80gm Size: A4 Sheets: 100'S Packing: 10 pcs/pack ..
KRAFT PAPER 125gm Size: A4 Sheets: 40'S Packing: 10 pcs/pack ..